Watch as a horse and rider compete to separate a single cow away from a herd. 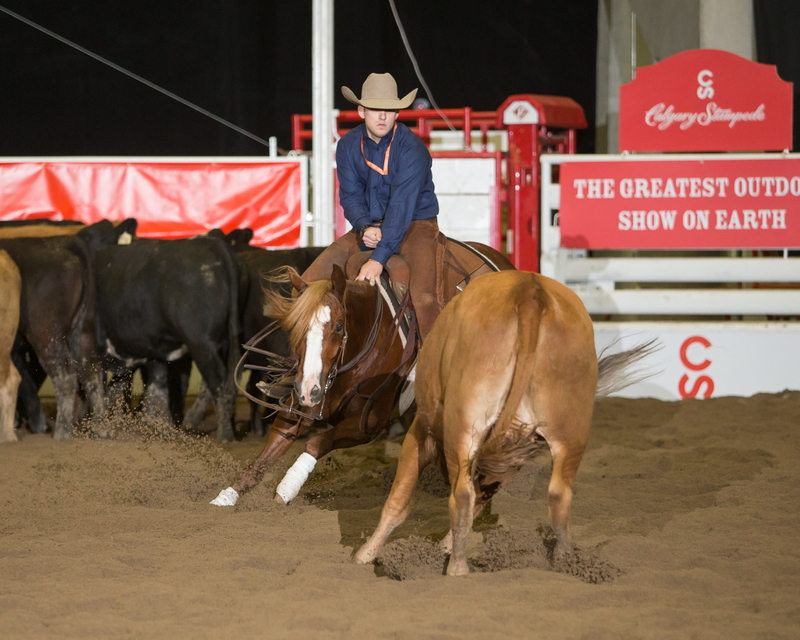 In the National Cutting Horse Association (NCHA) World Series Competition, each horse and rider is faced with a herd of cattle and two-and-a-half minutes on the clock. Working together, they must select a single cow to separate, or ‘cut,’ from of the herd. Once the cow has been selected and removed from the herd, the rider drops their reins, saying to the horse, "It's up to you - take it from here!" Be sure to check out all the NCHA cutting horse action running from July 5-6, 2018 at the Calgary Stampede Nutrien Western Event Centre.